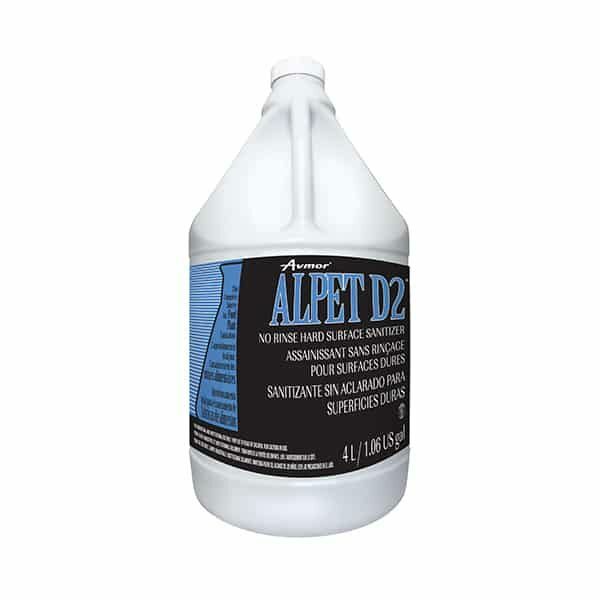 ALPET D2 no rinse hard surface sanitizer is designed specifically for food processing plants, restaurants, bars and other food handling institutions where sanitation of food contact surfaces is of prime importance. Formulated to significantly reduce or eliminate micro-organisms present on all non porous surfaces subject to direct food contact. - Dries quickly – no wiping needed. For soiled surfaces, a pre-cleaning step is required. 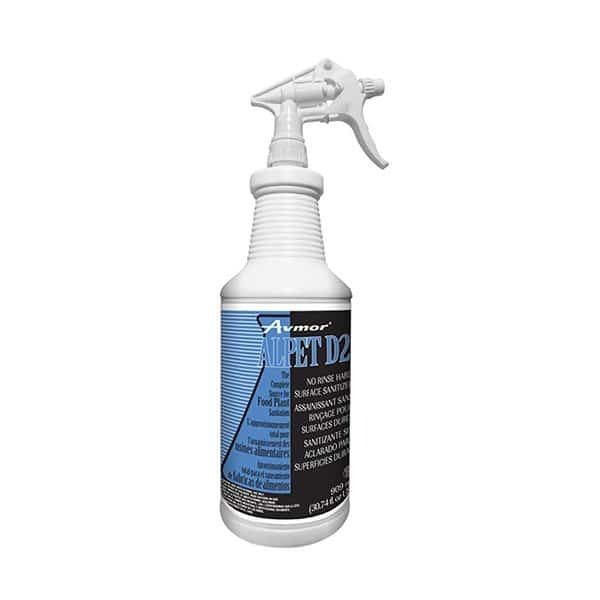 Spray ALPET D2 directly to food surface contact item and allow to dry. No residue will be left and no further wiping is required.